According to Sanskrit literature, Sri Lanka is referred to as the land of the Sinhalese who were considered the inhabitants from the point when Indian prince in exile called Vijaya along with his 700 followers settled and established the Sinhalese kingdom. However there is also a reference to the presence of Yaksha tribe in the island at the time of the arrival of Prince Vijaya as the Great Chronicle of Ceylon Mahavamsa suggests that Vijaya’s men were seized by the Princess Kuveni of the Yakka tribe. This wave of immigrants from India continued to expand the Sinhalese settlements. In the later years, the inhabitants from these settlements moved inlands to establish the first capital Anuradhapura. Parallel to this, the arrival of Buddhism to the country took place. In the years that followed, the island was ruled by various Sinhalese kings under transitional periods that saw various kingdoms such as Polonnaruwa, Dambadeniya, Gampola, Kotte being established. 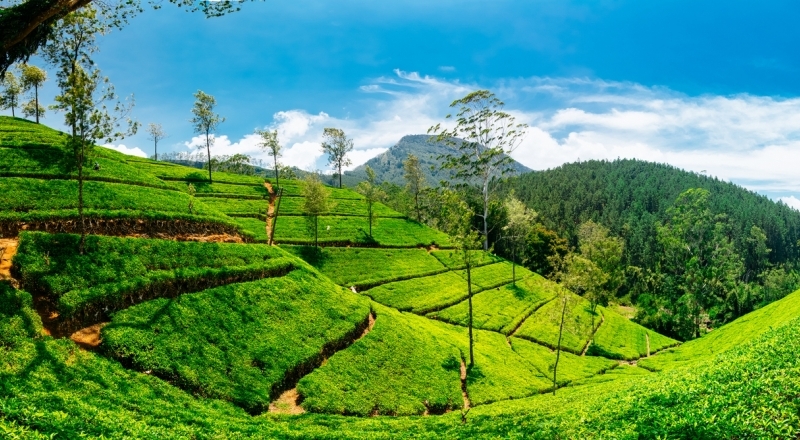 From 16th Century onwards, Sri Lanka was under the colonial rule starting from Portuguese to Dutch and British prior to gaining independence on February 4 1948. Despite having undergone a three decade long ethnic conflict in the post- independence era, Sri Lanka today is a peaceful country and a land of diversity in every sense of it (partly due to the influence of colonial rule) - a multi-cultural, multi-religious country blessed with plethora of natural wonders such as green paddy fields, sunny beaches, tropical jungles, bird sanctuaries, history, archeological, cultural and people’s heritage. Its’ all there - the wild; the festive; legend; romanticism; adventure; scenic, traditions, and the heritage, above all people with amazing stories to tell. With flat terrains and rising mountains the country experiences a tropical climate all year around and warm and sunny weather most part of the year. With all this plus the freedom of movement, hospitable people, safe environment and luxury and comfort- rest assured that you could explore this beautiful island to your heart’s content. Sri Lankan Rupees. Currency notes in the denominations of Rs. 20, Rs. 50, Rs. 100, Rs. 500, Rs. 1000 and Rs. 5000. Coins in the denomination of Rs. 5 and Rs. 10. Credit cards are also accepted in most of the places. Bus, trains are the two mediums of public transportation while cabs, air taxi trishaws, bicycles, hiring or self-driven cars and vans are personal transportation options. Dress to suit the tropical climatic conditions. When visiting religious places, it’s mandatory to wear appropriate clothing- long, covered attire with sleeves, preferably white or light shades. It’s advisable to carry a shawl and a long wrap around always. Alcohol, spirits, cocktails are served at bars on hotels, resorts and restaurants and guest houses. Consumption of alcohol in public places is prohibited. Average temperature in Colombo 27° C and in Hill Country a record temperature of 10°C. Sea temperature 27°. The country experiences two wet seasons in May-July in the South-West and December/January in the North-East. Official Language -Sinhala, Tamil and English. English is understood by the majority of the people. Sign boards are also in English language. Duty free shops at the Bandaranaike International Airport, public bazars, clothing shops and high-end shopping malls, handicraft and souvenir shops are all available for an exciting shopping spree. Several mobile service providers have their coverage island-wide. Dialog, Mobitel, Hutch, Etisalat and Airtel offer their services on local, international calls and data usage through varying packages. Their branch outlets are located in the main cities island-wide.